Each and every one of us has shamanic powers. Glimpses of them can arise at any age in the form of intuitive dreams, déjà vu, spontaneous visions, and out-of-body experiences. Most people dismiss these experiences. However, by embracing these gifts, we can unlock our shamanic potential to change ourselves and the world around us. Revealing his transformation from skeptic to respected shamanic healer, Itzhak Beery explains how, after countless prescient dreams and visions throughout his life that he brushed off, a series of synchronistic events led to his first shamanism workshop with Michael Harner, renowned shamanism scholar and teacher. This, in turn, led to a trip to South America with John Perkins to work with indigenous shamanic healers. Beery shares his experiences with ayahuasca rituals in the Amazon, messages from power animals and plant spirits, dreams that foretold future events, and holographic sightings of past lives and spiritual entities, both evil and benign. He details his shamanic way of “seeing” to diagnose spiritual, emotional, and physical ailments via candle readings and remote viewing. Explaining how we are always surrounded by spirits, he recounts helping people communicate with loved ones who have passed on and shares powerful stories of soul retrieval during shamanic journeys to other worlds. Through his true stories of visions that manifested in reality, Beery reveals that we are all shamans. By igniting our natural intuition and developing trust for our inner powers, we can each connect to the oneness of nature where all knowledge is found. Is there life after life? Is our soul immortal and caught in the birth-death-rebirth cycle? What is the role of our physical bodies? As a self-declared rationalist and atheist, I used to be awfully cynical about phenomena such as past lives. But in my grief over losing my mother, I found myself praying that my mother’s soul would come back in the form of my daughter. So, when I began to experience the reality of past lives, as in the following stories, it caught me totally by surprise and made me a believer. “Can you ‘see’ a past lifetime vision I had recently had?” A new client challenged me as we were sitting to do a candle reading. At first I was taken aback by her forthright question, as I always wait for the images to come to me and do not like to be forced or challenged this way. So I took a big breath. Scanning and gazing at her softly, suddenly a picture of two English soldiers riding fast, dark horses and wearing heavy armor materialized on the left side behind her head. It was the middle of a massive battle. A large forest surrounded the slanted green hilly battlefield. I recognized my client as the man on the left. His shoulder was terribly wounded. I watched him as he finally fell off his horse to die. These were the reasons she gave for coming for this shamanic healing. Little did we know then that this session would reveal a whole other lifetime. I brought to her attention the fact that most of the time when a person takes antidepressants or anxiety medication, shamanic healing may not be as effective, as it needs to combat those spirits too, while the client’s spirit is suppressed. She seemed to understand and agreed anyway. “I have some pain on the right side of my lower back. Could it be an intrusion of bad spirits?” she asked. I handed her a jaguar bone to hold between her two palms to check for possession. “No you are not possessed, but you had some trembling in your left hand, which signals problems or disturbances with a mother or a feminine energy,” I said. She nodded in agreement. As we continued our conversation, a picture, a holographic image, formed above her right shoulder, slightly above her head. A short, heavyset, round, and youngish European woman stood in her kitchen mixing with her right hand what seemed like soup in a big cauldron on a wood-burning stove. Her light-blond hair was tucked under a light blue cap, and a white apron was tied to her bluish dress, covering her full feminine figure. While continuing our regular conversation, I thought, Who is this woman? How is she related to my client? She seems to not have any resemblance to my client, so why is she here? Is she her ancestor? I needed more information. “What is your ancestry?” I asked my client, looking into her dark eyes. “Who are they? Are they priests?” Laurie asked. “You bet! I hope not in a bad way, though,” she said. "As a TV/Radio talk show host, I have to read a lot of books. Itzhak Beery's, The Gift of Shamanism was that rare thing in my experience, a book that hooked me from the start and kept me glued throughout, taught me much that I did not know, and inspired me to not only want a private session with Itzhak, but also to learn more about my own shamanic gifts." "A talented story teller, Beery engages the reader from the very first page. 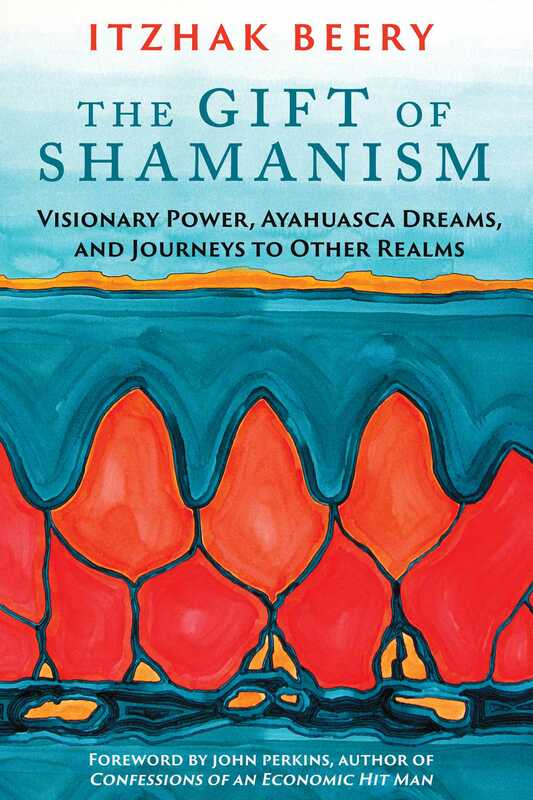 This mixture of biography and teaching helps communicate the worldview of traditions shamans. It is a fascinating tale beginning with Beery as an atheist and sceptic through his experiences with the unseen and advancing spiritual maturity leading to his role as a teacher and healer. Beery communicates well and reminds us of the urgent need to rediscover ourselves in a world lost to materialism and consumerism."